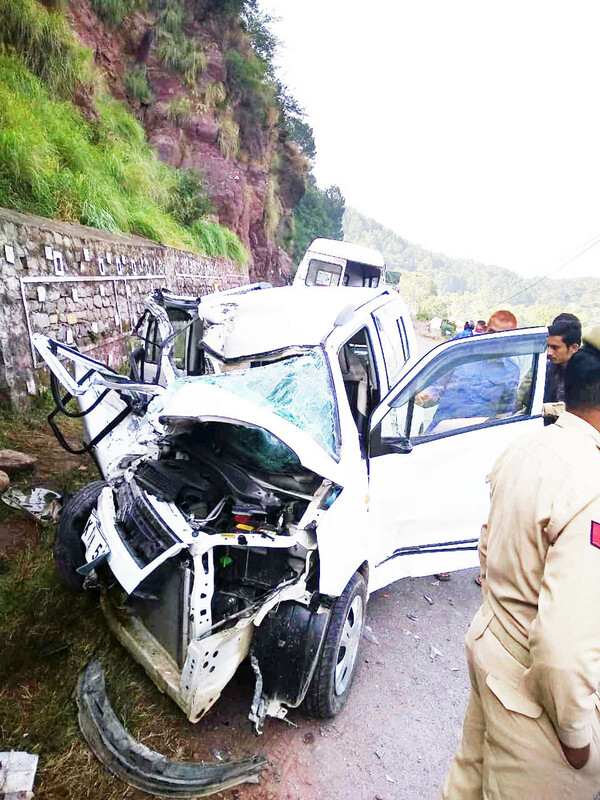 RAJOURI/ POONCH, Oct 10: Two persons were killed while two others injured in two separate road accidents in Nowshera area of Rajouri and Surankote area. A police spokesman said that A Maruti WagnR No. JK12A/5650 was collided with a truck No. UP-23E/7923 near Dhallian in Nowshera area at around 11.15 pm last night. The police party from Nowshera rushed to the spot and shifted the seriously injured Haroon-ul-Haq, son of Abdul Haq, resident of Fazlabad, Surankote to SDH Nowshera and later to GMC Hospital, Jammu. The driver had been trapped in the vehicle and had died on the spot. His body was taken out after tough efforts by police. He was identified as Aftab Ahmed (34), son of Maqbool Ahmed, resident of Fazlabad in Surankote. The police has taken cognizance of the matter. A cleaner of the water tanker was killed while its driver injured seriously when the tanker (No. Jk02AE/9177 was rolled down into a gorge near Jogi Morh in Surankote today. The vehicle went out of control and fell into a gorge. The deceased was identified as Nadeem Ahmed (20), son of Dil Mohd resident of Jogi Morh. Seriously injured driver- Mohd Sageer was referred to GMC Jammu from Surankote hospital.